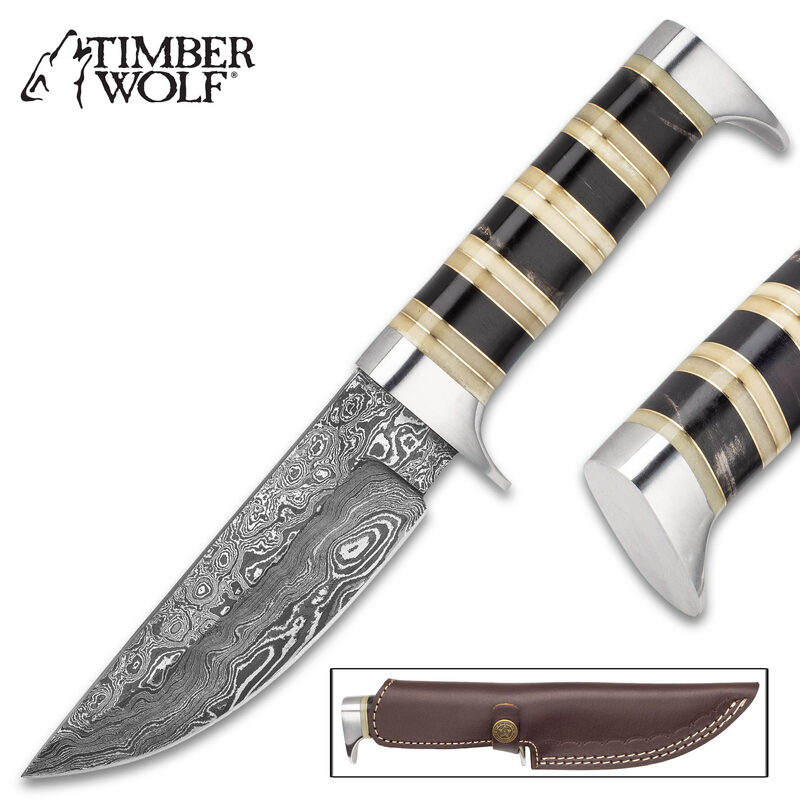 Timber Wolf Assyrian Empire Fixed Blade Knife With Sheath - Damascus Steel Blade, Horn And Bone Handle - Length 9 1/4” | BUDK.com - Knives & Swords At The Lowest Prices! The Timber Wolf Assyrian Empire Fixed Blade Knife gets its design inspiration from the Assyrian Empire, which reigned supreme during the Bronze Age. 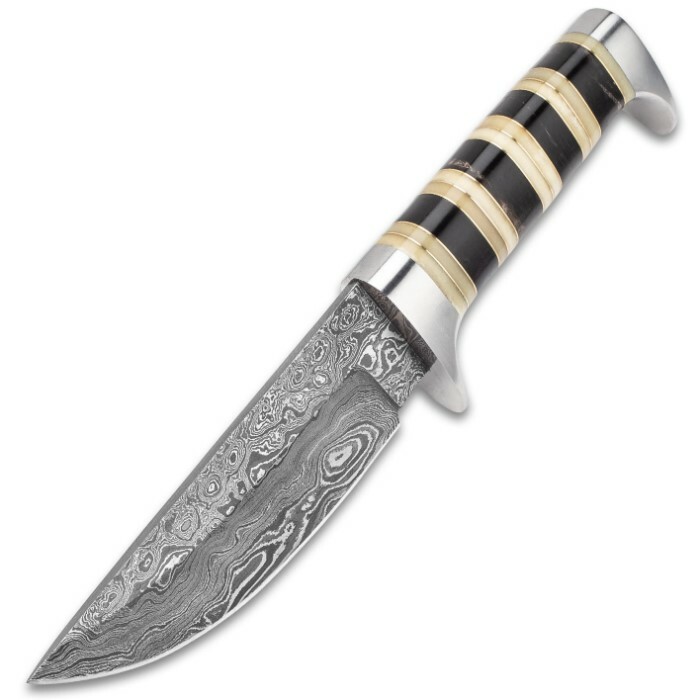 You would have found this knife carried, on the banks of the Tigris, as a utility tool and weapon by citizens of this ancient time. 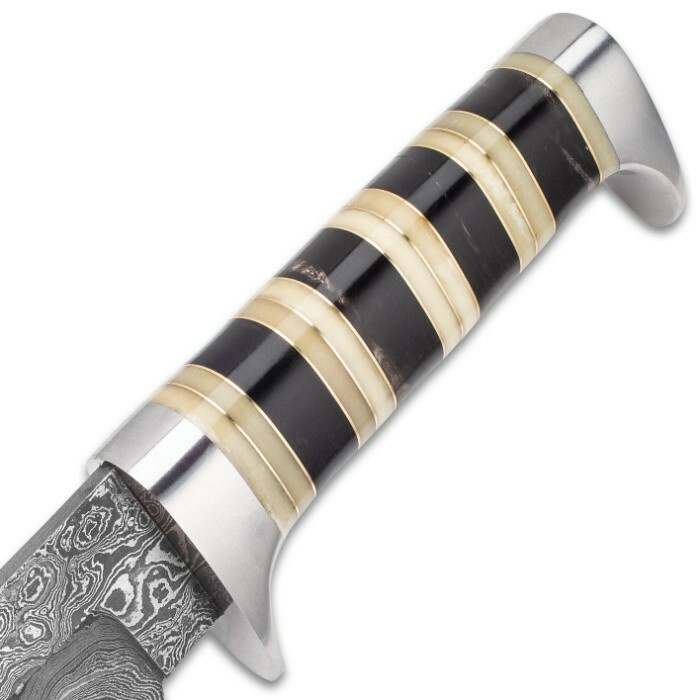 It has a keenly sharp 4 3/4” Damascus steel blade, which is complemented by a stainless steel pommel and guard. 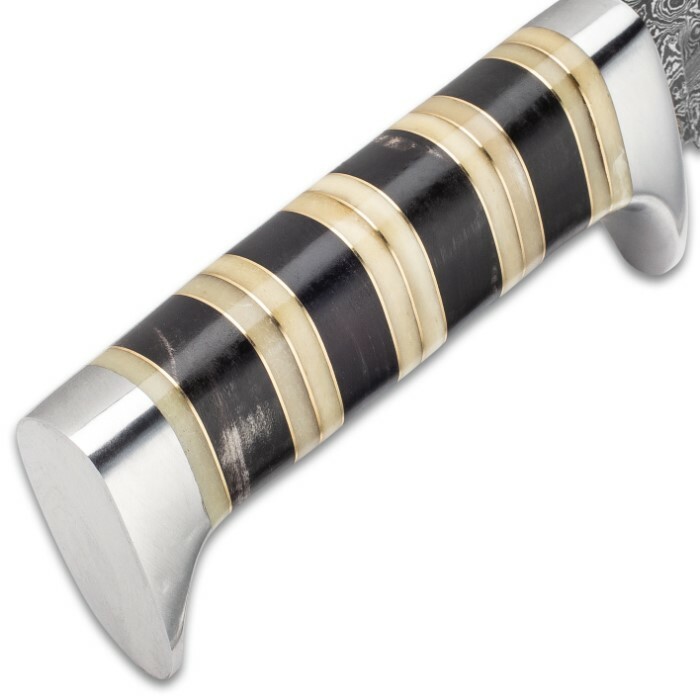 The attractive handle is crafted of alternating genuine black horn and white bone panels, separated by brass spacers. 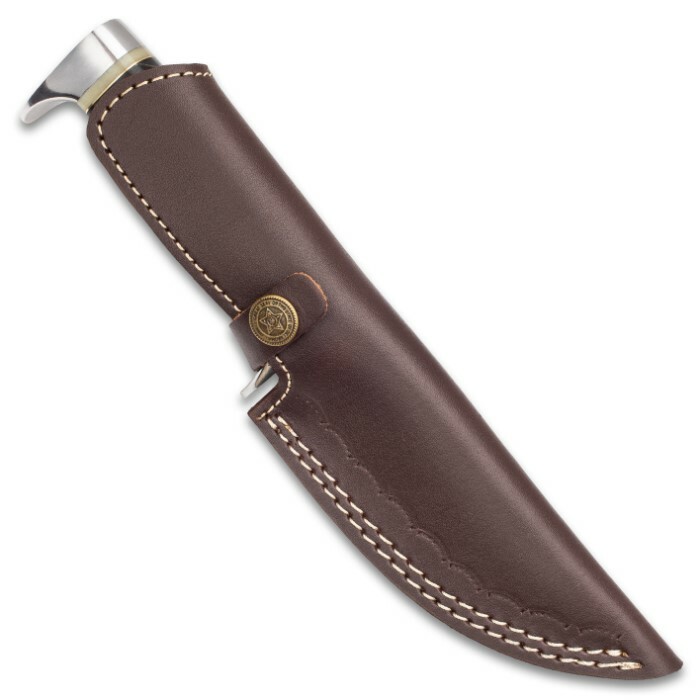 A premium brown leather belt sheath with a decorative brass snap closure and white top-stitching protects the 9 1/4” overall knife.